Heyday Festival announces delivery of a new budding program in photography | film for youth! Do you want to further your skills and build a career as a photographer and filmmaker? Heyday Festival is calling all young budding Photographers | Filmmakers from the Cairns area to apply and take part in Heyday Festival budding program for young and emerging Photographers | Filmmakers. 10 successful applicants will earn the title of Heyday Festival 2012 Official Photographer | Filmmaker and be trained through nine 3 hour informative and practical workshops. Qualified trainers, with relevant industry experience will deliver the training. Heyday Festival has partnered with ABC Open to run film and social media workshops, Rebecca Claire Photography to run photography workshops and KickArts Contemporary Arts to utilise The Studio space for the training. Heyday Festival is a Cairns based multi-arts festival led by young people. It belongs to the community and is run as a non-profit collective. It aims to develop Far North Queensland’s youth arts sector by nurturing talented young artists, artsworkers, entrepreneurs and go-getters. If you are 16-30 years of age, APPLY! 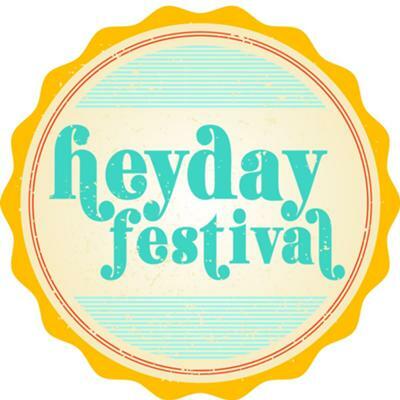 Visit the Heyday Festival website to download and complete the application form. DUE 11:30pm Wed 20 JUN 2012.